Chand V. , Malek B. (in press). The Relevant Economic Activity Test and its Impact on International Corporate Tax Policy. British Tax Review. Chand Vikram , Haller Alexander (2019). The Application of the Arm's Length Principle to Physical Cash Pooling Arrangements . Intertax , 47. Chand Vikram (2018). The Principal Purpose Test: An In Depth Analysis. Intertax , 46, 18-44. Chand Vikram , Haller Alex (2018). Physical Cash Pooling in a Negative Interest Rate Environment - Kluwer International Tax Blog . Kluwer International Tax Law Blog . Chand Vikram (2018). The Interaction of the Principal Purpose Test (and guiding principle) with anti-avoidance rules. Intertax , 46, 115-123. Chand Vikram (2018). The Digitalization of the Economy: Taxing Digitalized Business . Global Taxation, India (Special Issue for the Annual International Tax Conference in India), 120-124. Chand Vikram , Das Pitambar (2018). From a FAR to a FARM Analysis with respect to Profit Attribution to the Indian Significant Economic Presence (SEP) Test - Kluwer International Tax Blog . Kluwer International Tax Law Blog . Chand Vikram , Otto Karin (2018). Transfer Pricing: Accurate Delineation of the Captive Insurance Arrangement – Is the OECD Guidance Clear on this Matter?. Kluwer International Tax Law Blog , 1-7. Chand Vikram , Reif Selina (2018). The Fundamental Approach for Allocation of Risks and Returns for Financing Entities - Kluwer International Tax Blog. Kluwer International Tax Law Blog . Danon R. , Chand V. (2018). Taxing Digitalized Business Models. Swiss-American Chamber of Commerce Yearbook, 2018/2019, 87-89. Kosmala Adam , Chand Vikram (2018). Transfer Pricing Aspects of Performance Guarantees. Kluwer International Tax Law Blog . Spinosa Lisa , Chand Vikram (2018). Should the PE definition be amended to tax digital business models or should the focus be on a shared taxing rights mechanism?. Intertax , 476-494. Chand Vikram (2017). Should States Adopt the Saving Clause in the Multilateral Instrument ?. Tax Notes International. Chand V. (2017). Transfer pricing aspects of captive insurance arrangements: recommendations to the OECD . IFF Forum fur Steuerrecht , 154-183 . Chand Vikram (2016). BEPS Action 6 – Policy proposals. Global Taxation, India , 54-57. Chand Vikram (2016). Trumps Income Tax Policy Proposals. Global Taxation, India , 44-46. Chand V. (2016). Transfer Pricing Aspects of Cash Pooling Arrangements in light of the BEPS Action Plan. International Transfer Pricing Journal, 38-47. Chand Vikram (2016). Transfer Pricing Aspects of Inter company Loans in light of the BEPS Action Plan. Intertax, 44, 885-902. Danon R. , Chand V. (2014). Base Erosion and Profit Shifting (BEPS): an update. Yearbook / Swiss-American Chamber of Commerce, 61-62. Chand V. (In Press). Digitalization and The Arm's Length Principle . Tax Policy Series, Tax Policy Center, University of Lausanne . Chand V. (2018). The interaction of domestic anti-avoidance rules with tax treaties . Schulthess , Zürich. Chand Vikram , Butani Mukesh (in press). The Principal Purpose Test: International and Indian perspective. International Tax Issues in India - Shome (edit) . Taxmann. Kosmala Adam , Chand Vikram (in press). Applying the Arm's Length Principle to Performance Guarantees. Lexis’ Practical Guide to U.S. Transfer Pricing - Chapter 35 . Lexis Nexis , USA . Danon Robert , Chand Vikram (2018). Taxing Digitalized Business Models. Swiss Amcham Yearbook - 2018/19. Swiss American Chamber of Commerce. Chand V. (2016). The Interaction of domestic general anti avoidance rules with tax treaties. Base Erosion and Profit Shifting. Schulthess. Danon Robert , Chand Vikram (2019). Addressing the Tax Challenges of the Digitalisation of the Economy – Comments on the Public Consultation Document . OECD. 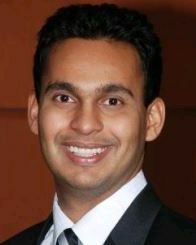 Danon Robert , Chand Vikram (2017). Response to OECDs input on attribution of profits to a Permanent Establishment. OECD.